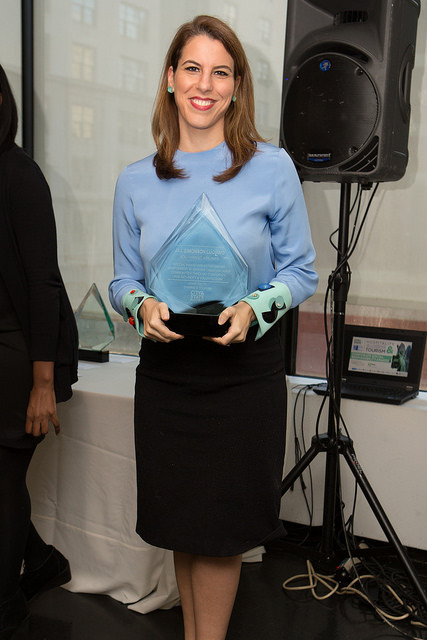 Capalino+Company joined City&State to celebrate Corporate Social Responsibility (CSR) leaders in New York’s Hospitality, Gaming and Tourism sector on October 20, 2015. 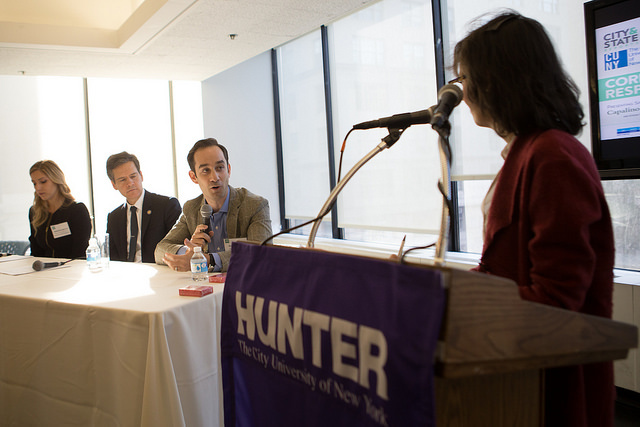 The breakfast ceremony, which took place at Hunter College, consisted of an award ceremony and a thought leadership panel moderated by journalist and author Lenore Skenazy. 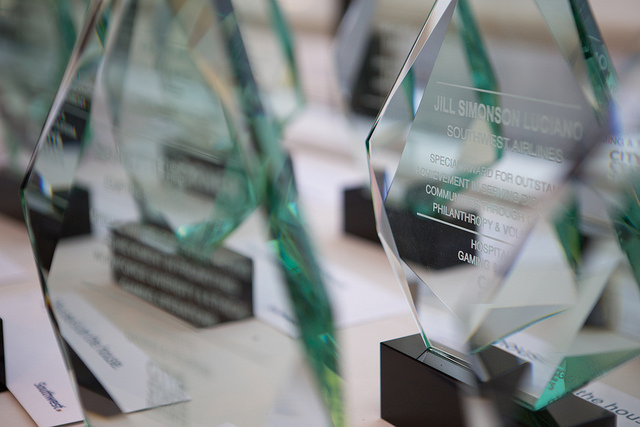 Capalino+Company has been working with City&State to develop this innovative breakfast series which recognizes individuals for their outstanding commitment to CSR. 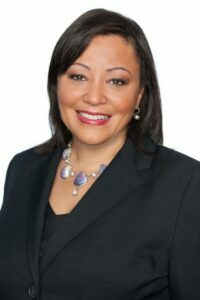 It is an effort to promote CSR practices and encourage businesses and corporations to give back to their communities, because “doing good” is good for business. Lenore Skenazy led a discussion with NYS Senator Brad Hoylman, Andrew Rigie, Executive Director of NYC Hospitality Alliance, and Antonia Agrusa, Director of Explore Brooklyn & Tourism Initiatives at Brooklyn Chamber of Commerce. 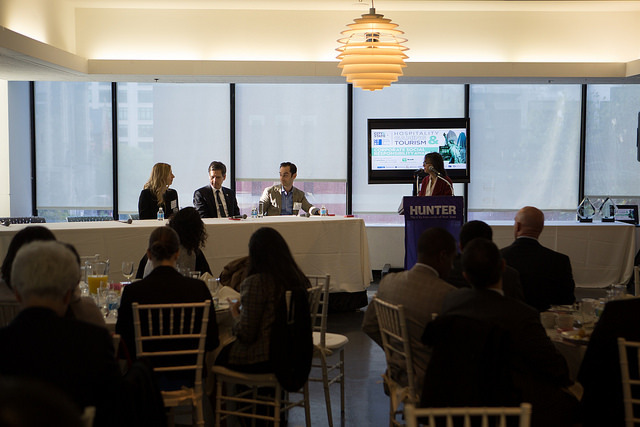 Panelists explored the components of a successful CSR program and their vision for the future. 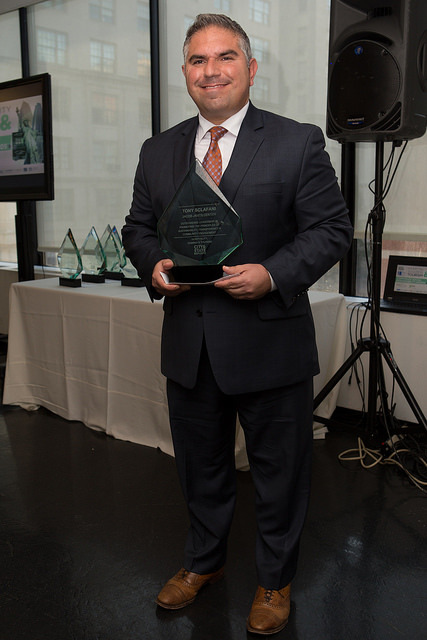 Among the honorees were two individuals who are leading the way in their field: Tony Sclafani, Senior Vice President and Chief Communications Office of Javits Center, received the award for Outstanding Leadership in Promoting the Principles of Sustainability, Transparency & Community Engagement. We applaud all these individuals who embody what it means to be socially responsible. You can read their full profiles on City&State’s digital program. Nanette Horner, EVP/Chief Counsel/Chief Compliance Officer, Empire Resorts, Inc.
Terry MacRae, Chairman & CEO, Hornblower, Inc.